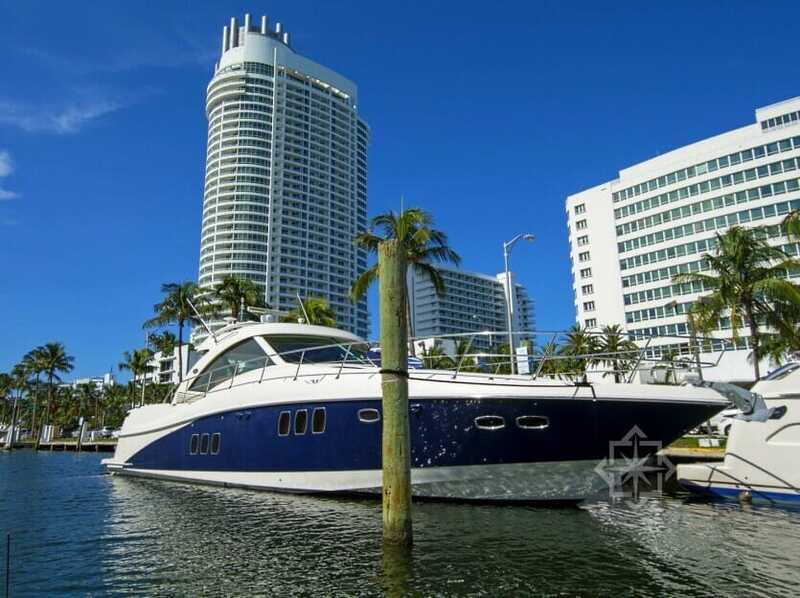 You are viewing the 60 foot SeaRay, a premier luxury yacht charter. Every Sea Ray boat is a reflection of commitment to precision, innovation and craftsmanship. This 60′ SeaRay luxury yacht charter is no exception. 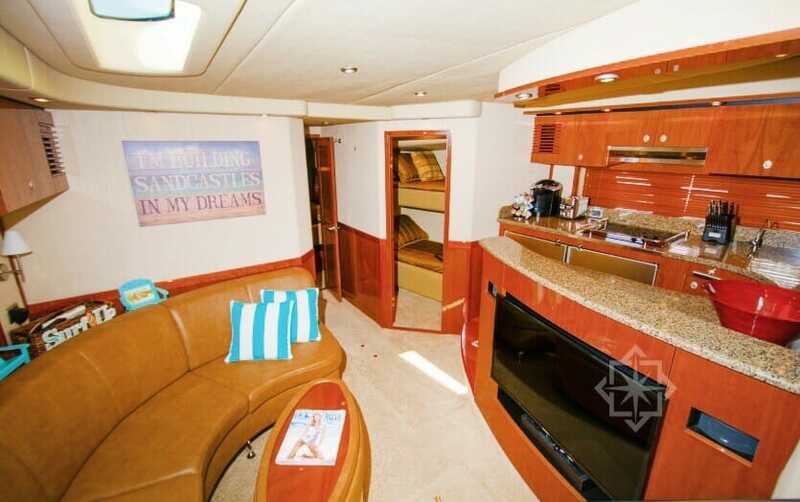 You and your guests will love the yacht’s beautiful blue accent décor throughout the vessel. 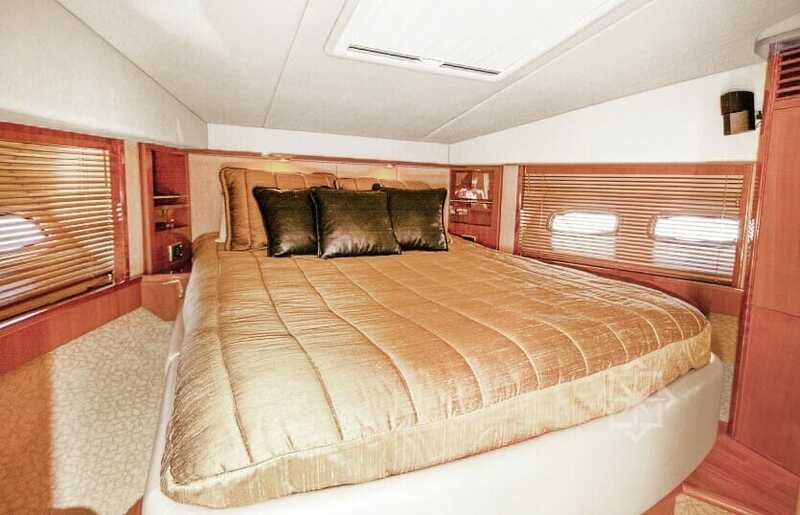 Its spacious cockpits that flow into thoughtfully designed cabins large hull windows, beautiful cockpit lounge and a state of the art entertainment center are just some of the highlights. 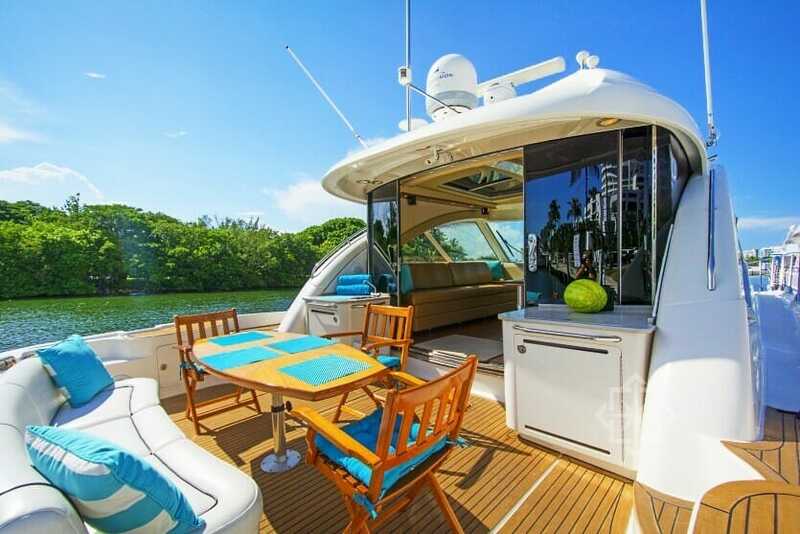 Other features included are a BBQ, Wet Bar, sunpad at the bow and Hydraulic Swim platform. Ask us about catering services. 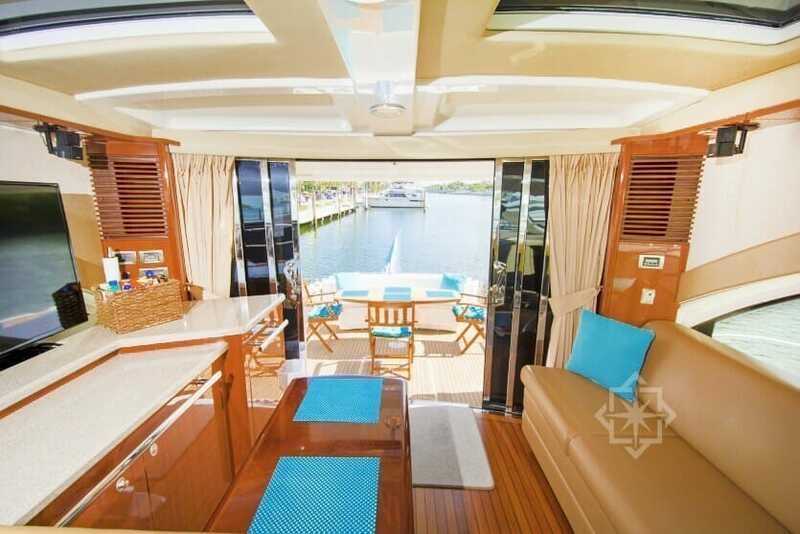 You will surely impress your guests on this yacht! 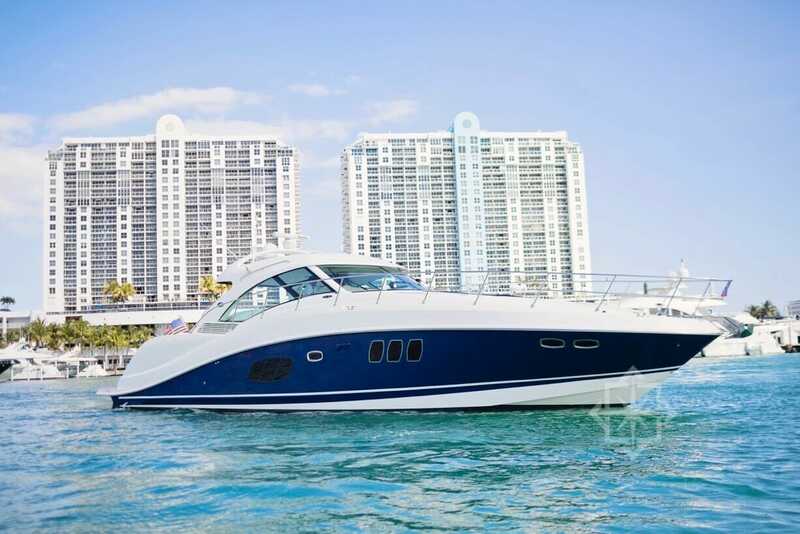 StarLux offers luxury yacht charter services in Miami, the Bahamas, Fort Lauderdale and the Florida Keys. Our luxury yacht services are not just limited to your yacht charter! We guide you every step of the way, from ground transport to on-yacht services such as DJ, entertainment and catering. We can help coordinate your work event, vacation getaway or special occasion. We are specialists in all things luxury. Contact us and allows us to coordinate your vacation getaway or special occasion.